In today’s digital age, the need to save files is undeniable. It is now a common habit to keep important files, maybe for personal or business purposes. While traditional storage devices – such as hard disks, flash drives and memory cards – have been handy storage devices for year, a new technology called Cloud Storage now provides a better and seamless way to store files. Given that cloud storage is internet-based, accessing files is a smoother process. It allows you to view, edit, and download files from any computer or mobile device with internet access. It makes you less dependent on a specific computer and gives less worries when you lose your storage device or it damages. Its ease of access goes along with the ability to access files even through mobile devices. This is most especially beneficial for people who are always on-the-go. You can opt to access your cloud storage through your web browser, or directly through a mobile app. With this functionality, there is no need to even save your file on your mobile device’s internal storage, saving usually the limited built-i storage. This likewise helps users save time. Apart from your own data consumption, sharing files through cloud storage is an easy task. It lets you instantly share files and allow multiple users look at one document at the same time. This is now becoming a trend among peers and even in the workplace. This may be due to the fact that through cloud collaboration, transfer of computer virus when transferring files from one device to another can be avoided. In addition, you can also start doing away with the hassle of e-mailing files (which can also be a trouble for large files). Most individuals nowadays are data-driven. Apart from typical documents or photos, most often than not, there are large files – such as videos – you would want to save. In no time, you would need an additional capacity than what your storage can offer. And in some cases, a quick remedy isn’t available. 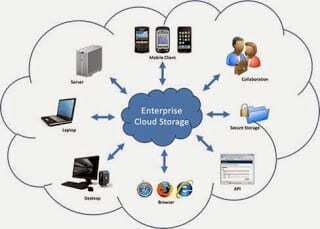 So instead of sticking with traditional storage, which lets you have a limited capacity, cloud gives a flexible option. Cloud storage providers let you increase capacity the moment you need it. There would be no worries of filling up your computer’s hard disk with tons of files, or owning a multitude of storage devices. Signing up for a cloud service provider is usually free with an allotted storage capacity. This lessens the cost of purchasing storage devices. Apart from that, you can just upgrade to a higher storage plan as you need it, only paying for what you require at that specific time. Of course, you will pay for internet access. Top Apps for Meeting New People Across the Globe?